As a general rule, the UK’s contribution to death metal is routinely glossed over in favour of the output of our American cousins (who’s contribution, to be fair, was revolutionary) but to overlook the UK’s considerable input would be foolish….at worst, bloody sacrilege! So, Worship Metal has cast its eye back to a time when old-school UK death metal was producing some truly outstanding releases and selected 6 under-appreciated classics of UK death metal! No Bolt Thrower, no Carcass, no Napalm Death, no Benediction…just 6 under-appreciated classics of UK death metal plucked from the annals of time! 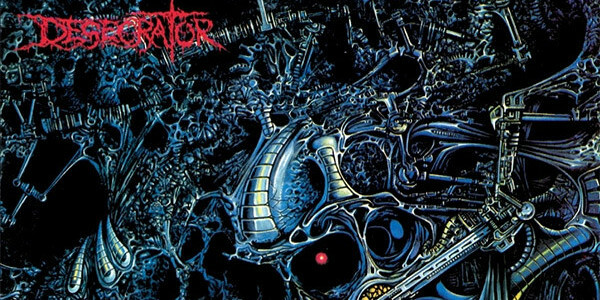 Desecrator’s one and only album should have been enough to endear them to the masses as it’s an outstanding moment of UK death metal mastery; backed by a collection of expertly delivered death metal songs. Haven’t heard it? Go discover!